The building process begins with the builder submitting blueprints to Superior Walls. Our expert CAD team then drafts your design and prepares plans for our manufacturing plant. Before your walls go into production, the builder carefully reviews our designs and signs off. We pour our patented concrete mix into stable forms with steel reinforcements and insulation. Our certified installation crew arrives at your building site in within only a few hours completes installation. The very next day, the builder is ready to pour concrete flooring and begin final construction. Over 35 Years Experience: Superior Walls has been building precast concrete foundations since 1981. Fast installation: Completed in normally less than one day – allows builders to begin construction on the home the same day. 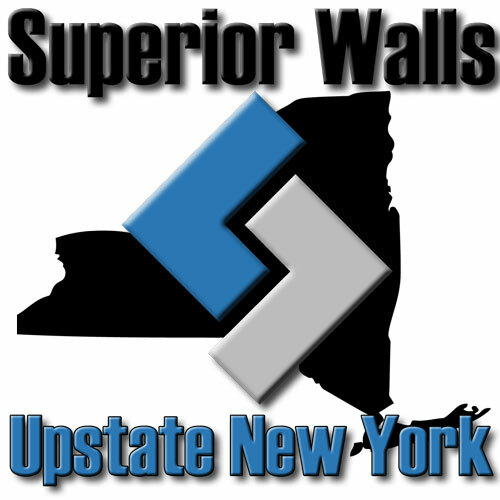 Superior Walls panels are custom made for each home and are manufactured and delivered complete with built-in openings for windows and doors, access for wiring or small plumbing elements and with smart stud facings for easy drywall installation. Quality Assurance: Each manufacturing plant is regularly inspected by an independent third-party inspection agency to ensure compliance with the Quality Assurance program. Manufacturing and installation personnel are certified. Superior Walls basements are warranted for 15 years against defects in workmanship and side wall water penetration.